Within the walls of a centuries-old building lies the magical Library of Illumination where books literally come to life. What makes this library even more unusual are the two teenagers chosen to oversee its operation. Johanna Charette and Jackson Roth must use their wits to deal with the sometimes humorous, sometimes dangerous situations that arise when characters and scenes from enchanted books become real. As the teens learn about the library, themselves, and each other—their fates become intertwined. And when they stumble upon a scheme by someone in a distant realm to take control of all the knowledge in the universe, Johanna and Jackson are forced to put their lives on the line to battle an ancient foe. 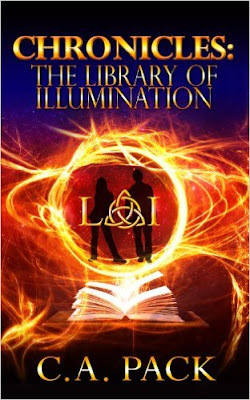 When an alien invasion threatens the existence of all the knowledge in the universe, eighteen-year-old Johanna Charette and seventeen-year-old Jackson Roth must rely on their wits, guts, and pluck to save the fantasy-come-to-life world of the Library of Illumination. It wouldn’t be so bad—all right, it is bad but it would hurt less—if Johanna and Jackson weren’t the ones responsible for breaching the portals to a dozen distant worlds. Now, outside forces are causing shock waves in the space-time continuum, and if that isn’t awful enough, someone from another dimension is trying to steal a book of powerful spells created by a very famous wizard. At first, traveling to other realms in a time machine seems like a fun perk. However, discovering some inhabitants want to obliterate the teens doesn’t leave them with a warm, fuzzy feeling. Instead, they find themselves forced to sacrifice their own welfare and the safety of their loved ones for the greater good. *To make it easier for future readers, The Library of Illumination is an ongoing series of novelettes, novellas, and novels. You can encompass these in two books instead of finding and reading each little novella. The Library of Illumination (chapters 1-15) is the start of the series. Chapters 16-25 are the same as Chapters 1-10 in the Second Chronicles which encompasses books 5-7. The Library of Illumination is a very special library. It has books that come to life when opened! Imagine meeting the heartthrob of your favorite book or coming face to face with paranormal characters that you’d love to be? Books at the Library of Illumination could make your dreams come true but only if you are on The List. The series starts with Johanna working for Book Services. A very boring and tedious job but with it Johanna is tasked with delivering a package to the Library of Illumination. As the story continues Johanna is able to learn about the unique features of the library which she feels a very strong kindship with. Johanna is hired by the Library of Illumination and in turn hires a young man named Jackson to assist her with the multitude of duties that encompasses her job. Fun and imaginative with a little romance thrown in, these books can light up your day! 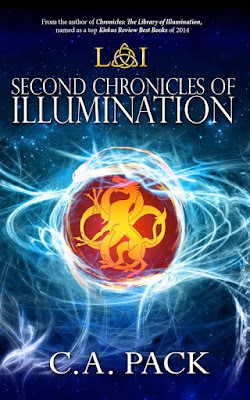 The Second Chronicles of Illumination repeats some chapters from Book 1 so if you do not read them back to back this will help refresh your memory. Chapter 16 from Book 1 is Chapter 1 in book 2. Jackson tends to find trouble. He’s a 17 year old teenager who doesn’t always think before acting! He kicks off this story with finding a portal to other libraries in other dimensions. This just kicked up the wow factor for me. Not only can the books come to life but I could travel to other dimensions for more adventures! Fabulous! The series was well written with the only confusion of what books encompasses what! It is worth the time that I spent to figure it out and I really enjoyed the unique perspective of the stories. Great young adult read! C. A. 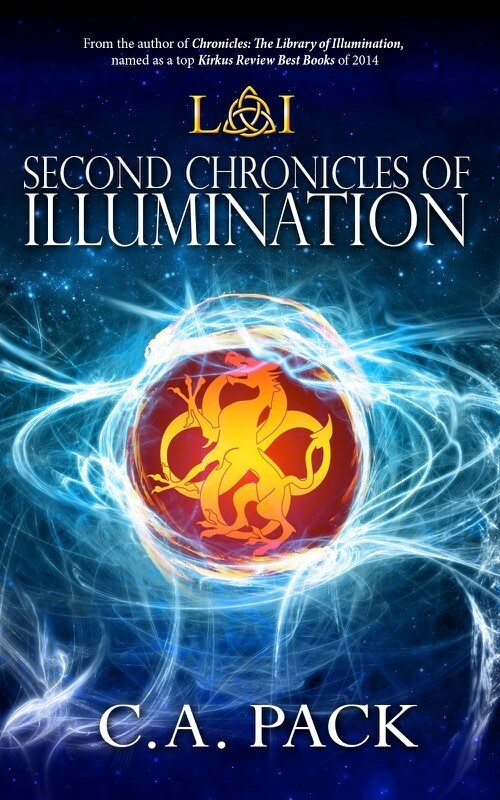 Pack is the author of the Library of Illumination series of YA fantasy novelettes, along with Chronicles: The Library of Illumination (2014), and The Second Chronicles of Illumination (coming in 2015). Pack also writes for a general audience. Her first novel, Code Name: Evangeline—is an historical spy thriller which takes place in the 1930′s. The author followed it up with Evangeline’s Ghost—a fantasy about the death of that same spy. 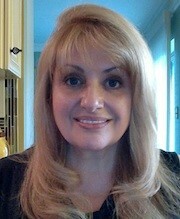 She recently completed work on Evangeline’s Ghost: Houdini, and is currently working on Evangeline’s Ghost: The Bridge. Pack is an award winning journalist from New York who worked as an anchor/reporter and educator (she considers herself the fairy-godmother of television news reporters)—and has written for WNBC, LI News Tonight and News 12 Long Island. She also worked on PBS documentaries, radio and television commercials and created and produced a pilot for a news show focusing solely on marriage and wedding trends. She’s a past president of the Press Club of Long Island and a proud member of International Thriller Writers and Sisters in Crime. Pack has been a speaker or panelist for organizations such as Women in Communications, Fair Media Council, and the Society of Professional Journalists. The author lives with her husband and two picky parrots “on” Long Island, New York.